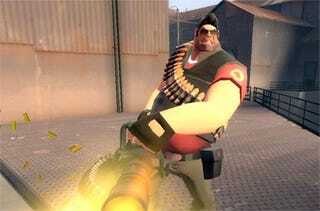 Remember when Valve opened up the development of new Team Fortress 2 weapons and hats to the Team Fortress 2-loving community? No? Well, that first batch of player-made things is now available as part of the latest TF2 update. Sure, Valve has been releasing community made maps in official releases for ages, but thanks to the rank-and-file Team Fortress player, we now have access to a pompadour for the Heavy, surgical mask for the Medic and a powdered wig for the Spy. The update's other additions include a sledgehammer, welder's mask, chocolate bar, hypnotic brain slug and so much more. Valve calls this latest update part of its plans to include "players in the ongoing challenge of improving our games and their communities," key to its whole entertainment products as services strategy. It's exciting, isn't it? !